In partnership with B.C. 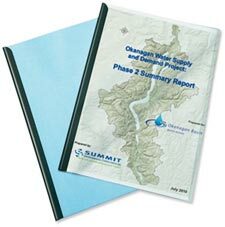 Ministry of Forests, Lands and Natural Resource Operations (MFLNRO), OBWBOkanagan Basin Water Board commissioned this report to develop a plan for an Okanagan water allocation tool, known as the OWAT. 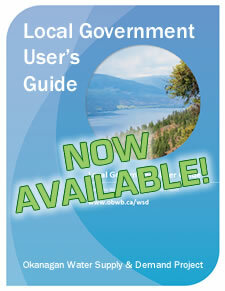 The primary purpose of the tool is to support water licenceA licence issued by the B.C. government to store water, or to withdraw water from a surface water source for a particular purpose decisions made by MFLNRO. 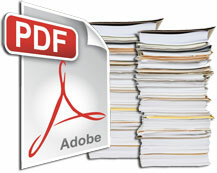 Decisions regarding licence approval (with or without conditions) or licence refusal are currently made using guidelines and policies that were last updated in the 1990s. The pending new Water Sustainability Act legislation and continued the pressure on water resources in the valley fuel the need for a more sophisticated, scientifically based and transparent decision support tool. The overall objective of this project was to review existing Okanagan data and models to determine how they can best be used to create an effective decision support tool for water licensing in the Okanagan, and to identify tasks required to develop the tool.